As a Western Pennsylvania university student in the early 1970s, I first heard about the teaching in the Bible of the Kingdom of God. A Dutch neocalvinist—he called himself "reformational"—had us reading devotionals by Calvin Seerveld and, eventually, a thick book called The Coming of the Kingdom by a scholar from Amsterdam, Herman Ridderbos. While I still on occasion consult Dr. Ridderbos's heavy work with the plain brown cover, I must admit I longed for more readable prose, a similar perspective but with a bit more evident application. 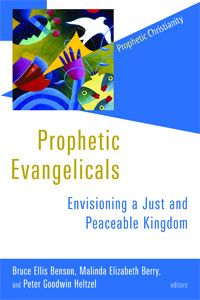 Why some others didn't see this creation-restoring, socially-renewing vision of the Kingdom in the Bible haunted me. The reformational movement blamed the blinders on early church accommodation with Greek dualism, and I still find that explanation compelling. But there are other reasons why we miss the theme of the Kingdom of God, and no one is clearer or more helpful about this in our day as the prolific and popular British scholar, N.T. Wright. (That one of the reformational scholars in the 1970s who was exploring Greek dualism, Brian Walsh, stuck up a friendship with Wright, discussing these very things with him then, is another fascinating part of the story.) In this new book, Wright continues his juggernaut of a project, exposing shallow Bible exegesis, critiquing dualism, reminding us of the culture of first century "second temple" Judaism, holding up a robust and consistently covenantal vision of the Biblical story. Just as I was haunted by how so many miss this central teaching, Wright tells that he was taken with this "puzzle of a lifetime." Some are saying that this new study of the synoptics is the strongest work Wright has yet done on the gospels, at least for a popular audience. It is nearly brilliant, loaded with insight about the Bible, about the reign of God, about church history, and about how Christ's Lordship has been ill-considered and not seriously embraced. Happily, it is conversational in tone, a pleasure to read. It would be a stretch to suggest that Wright draws upon Walsh (as he clearly does in his magisterial New Testament and the People of God), let alone Herman Ridderbos, who doesn't show up in his brief bibliography. But for one wanting this sort of a holistic and relevant reading of the theme of the Kingdom, rooted in a solid understanding of the significance of the gospels within the canon, explained with utmost clarity and vitality, this is certainly very, very useful. It is ideal for any interested reader, and will surely capture the imagination of those who haven't studied this theme much. Further, it has the possibility of bringing new energies to those of us who have long studied the Kingdom of God, and who have affirmed its central role in the unfolding drama of Scripture. 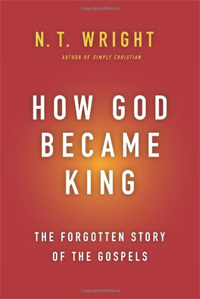 How God Became King may be a forgotten story, but with clear and compelling writers like Wright, we can pray it will be recovered and that its recovery will support and propel grace-filled followers of the King to serve His reign, everywhere, in everything. Editor's Note: N.T. Wright will be appearing at Hearts & Minds Bookstore, 234 East Main Street, Dallastown, PA at 1:00 on May 12th, for a time of signing books, fellowship and conversation. This is the inaugural volume in a new series on "prophetic" expressions of Christianity, which will certainly be fascinating, despite the leading phrase being wrought with various meanings. Let it suffice to say that the series intends to explore "Biblically centered, culturally engaged" faith; this first one draws upon the evangelical tradition. Here, fifteen contributors tell their own stories and then offer a particular theological insight that helps them—and all of us—live out a faith that is socially relevant and critical, Biblically-grounded but oriented towards the common good. Many of these stellar scholars should be familiar to Comment readers since they are significant, public writers, and activists (Vincent Bacote, David Gushee, Helen Slessarev-Jamir, Ruth Padilla-DeBorst, and Peter Heltzel, for instance). Others are known within their scholarly fields of theology or Scripture scholarship. The blend of personal testimony and faithful ruminations makes this a delight to read, even as the powerful meditations reassure us that to be agents of God's shalom is surely our calling. A further strength of this wonderful collection is how it represents various ethnicities, ones that make up an often under-appreciated aspect of North American evangelicalism. Not to mention that those who have experienced racism and discrimination personally have particular insights about how Christ-centered faith can move us to a prophetic imagination and hope for the unjust world in which we live. As Richard Mouw puts it, these pieces "demonstrate that the concern for such (public) matters can be pursued with uniquely evangelical convictions and sensitivities. I hope this volume will be read widely—both by evangelicals and by those who need to see evangelicalism at its best!" This new edition of a 1999 book expands Smith's first version, and it is breath-taking to see him continue to affirm most of his original argument, to clarify, and even revise some of his earlier views. What a joy to see a scholar re-thinking, evolving. There are brackets used effectively in the extensive footnotes to guide readers to new input and copious, updated notes. A large new concluding chapter is a heavy exploration of Derrida and the reading of Derrida some have done, moving us "from creation to ecclesia." This is important for anyone reading contemporary philosophy and for anyone hoping to engage postmodern deconstruction with solid Biblical faith. Many admired this book when it first came out and now that it is more thick—in both uses of the word—it must be considered an essential book in its field. What I most love, however, is the new introduction where Jamie talks about the woundedness that influenced his early version, and tells some lovely stories about how his renewed commitments to ecclesiology have informed the trajectory of the book. (He tells how the editor of the first edition, Rodney Clapp, convinced him to delete one chapter, a chapter from which Smith would now distance himself.) In this new edition he is clearer about why he has not adopted the ethos of the emerging church and their sort of appreciation with the postmodern turn. I don't often say this, but I am confident that reading even the first 32 pages of this heavy work would itself help non-philosophers immensely. In a nutshell, he makes a good case that interpreting (using the art of hermeneutics) is not, as if often said, a part of the fallen nature of our sinful world, but is part and parcel of the goodness of how God made us. Smith gets this from Augustine, who, by the way, did a "reconsideration" of his own work at the end of his life. Thanks be to God that Smith is still in his prime, and that he will generate more fruitful work that will allow us to embody an alternative between crass foundationalism on one hand and foolish relativism on one hand. 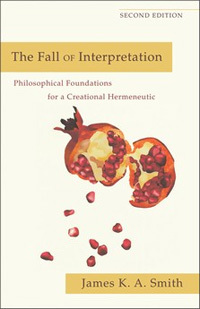 This new edition of The Fall of Interpretation is more significant than the first, especially for philosophers or anyone perplexed by the diversity of views on theology and the Bible, and the interpretative issues he explores—especially in additions and brackets and that beautiful new introduction—are as relevant now as they were a decade ago. 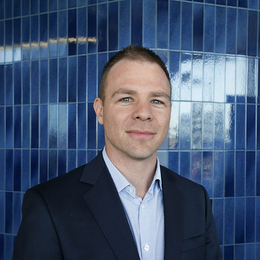 Bass is a liberal Episcopalian with advanced degrees in American church history and a boatload of experience in doing field research on the sociology of religion in typical mainline American congregations. Her several books (such as Christianity for the Rest of Us) have insisted that fairly ordinary piety and Christian practices like service and practicing hospitality have kept small, moderate churches alive and well. Fundamentalist mega-churches are not the only game in town. Alas, after keeping her ear to the ground and her nose in the academic social science literature, she has done a near about face on this position. From the church sexual abuse scandals to other social trends, it seems as if North Americans are increasingly losing faith in typical church life. She draws on long-standing researchers—from Bibby to Barna, Pew to Putnam—and offers a dour diagnosis. 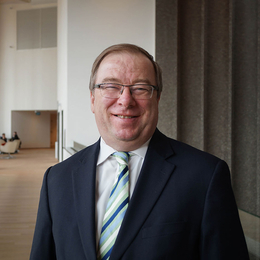 Butler is a church historian, though, and knows that hard times for churches often produce not increased secularization but new interests in things of the Spirit. 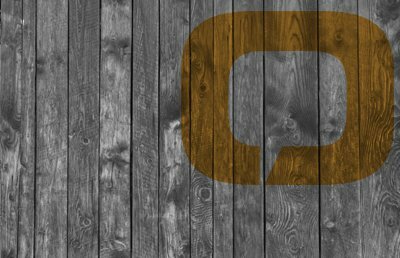 Will a post-Christian culture be the seedbed of a new awakening? And what might followers of Christ do to effectively minister to and with those who have been left traditional churches, and perhaps traditional faith altogether? This is a wonderfully interesting book, important, controversial, and in some ways perplexing. Typical liberals may think she is too traditional, affirming the historic creeds and telling stories of her fairly traditional mainline worship practices. Evangelicals may be suspect of her call to interfaith conversation and her eagerness to plumb the yearnings of those who happily say they are "spiritual but not religious." 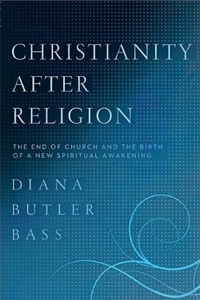 Not utterly unlike the emergent, missional, and new monastic movements, Butler Bass invites us to think seriously about the nature of spiritual experience in our society and to ask large questions about how to be found faithful in these trying times. Can we invite awakening? 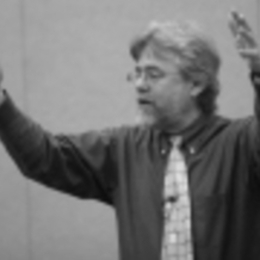 Can we find an approach to discipleship that is life-giving and committed to the common good? Is this what it means, in Jesus' own words, to die in order to find ourselves alive? Who knows what endings and new beginnings we will experience in the years to come, but some of them may be anticipated by those who struggle with this provocative study. Twenty-first in an expert series on must-read books. Twenty-fourth in an expert series on must-read books.